It is very early in our training year, but we have been planning our Year End Trip for months already! From May 25-27, we will be taking a busload of 21 Army Cadets to Jamestown and Celoron New York to be a part of the U.S. Memorial Day Weekend festivities with American Legion Branch 777. 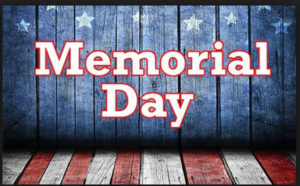 Some highlights will be going to the Civil Air Defense base, participating in the Memorial Day parade and two Memorial Day ceremonies. There will also be some fun stuff in there, like mini-putt and camping. Leave Cambridge Armoury: Saturday, May 25. Return to Cambridge Armoury: Monday, May 27. Note that this is a school day. As I mentioned in an email before tagging, not everyone will be able to go on this trip. There are only so many seats on the bus. We want to make sure that those who are contributing to the corps have an opportunity to attend. We have been tracking your attendance at everything we’ve done so far this year (or everything since your sign up date, for greenstars), and this is where “get your absences excused” starts to matter. If we have more cadets who want to go on this trip than seats, your attendance record will matter. The good news is that we have a whole bunch of Remembrance events coming up that need to be staffed, and there are a bunch of other events in the time until the final list of cadets is due. You can increase your attendance percentage if you want to (hint, hint!). • November 5: Click HERE to indicate your interest in the trip. You can change your mind later – this is a preliminary list for Detachment. We need the final list for the United States Government early next year. After that, you can’t add your name to the list. • November-December: If you don’t have a passport, get one – you’ll need it for this trip. It sometimes takes a while, so don’t leave it until the last minute. • January: Pay your $100 trip deposit to secure your spot. If you go on the trip, you get your deposit back on the way to pay for souvenirs (or put back in your pocket and bring home – that’s good too). If you pay your deposit and don’t go, you won’t get your deposit back. You are not considered to be actually “on the trip” until the deposit is paid, so if you wait too long to pay it, the bus might be full. • Mid February: Have all the rest of the paperwork in, including showing us that you have a passport and personal travel insurance (You need to buy it if you don’t have it through an employer or parent’s employer). Other paperwork will be handed out/communicated to participating cadets along the way. Cost: The only cost to cadets is your Passport and private traveler’s insurance. The deposit we require to secure your seat is returned to you on the trip. Let us know if you have any questions. This info will also be cross-posted to the Facebook group. Are we able to pay the deposit before January? Hi Stacey. In order to check off the boxes in order (and make it easier for us to keep track) we’re going to wait until January. Is the trip only for Cadets that have been in attendance all year? My son only started a month ago and this would be a great experience for him to be a part of if there’s any space left on the bus. He surely can attend! As long as he is participating in the things that help us pay for the trip (like tagging, helping the legion, and fundraising), and we see his committment to attending the days he’s supposed to be there (such as monday parade nights, FTX, and upcoming Christmas parades). If he needs to miss things, make sure that you call the office so that the staff is aware. Is a passport that expires in June 2019 acceptable? I will be renewing it either wsy just would like to know if I should sooner than initially planned. The Canadian Passport office recommends that you have 6 months left on your passport when you use it, so I would recommend that you do it earlier. Ok perfect I will get the process started next month! She needs a renewal even if she is not selected for the trip. Thank you for getting back to me!!! when are we able to pay? there haven’t been any announcements about it so I’m not sure when to bring in the money. We will be posting more information in February. We are waiting to get confirmation from Borden. Montgomery will have to bring his deposit next Monday 02/04 since tonight’s (01/28) is canceled. We are currently waiting for approval from Borden for the trip, so things have been pushed back slightly, we will update as soon as we get it.